I'd like to thank NELMS for the great opportunity to present at #NELMS34. 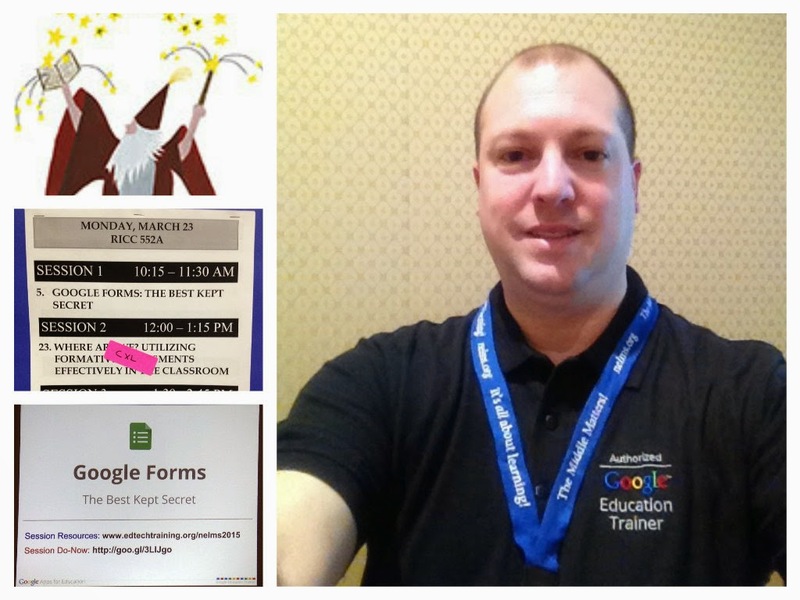 My session on Google Forms was packed with enthusiastic participants who had great questions. I hope they now have a desire to start creating forms to make collecting and analyzing data easier. If you haven't had an opportunity to attend the conference before it's a great chance to see what other teachers are doing in their classrooms and learn about best practices and the latest trends in education.